Born in Lafayette, Louisiana, Broussard started his music career at the age of eight when he played drums in his father’s band, the renowned Delton Broussard and the Lawtell Playboys. By his teen years, Broussard had taught himself to play the accordion and he began singing as well as playing. 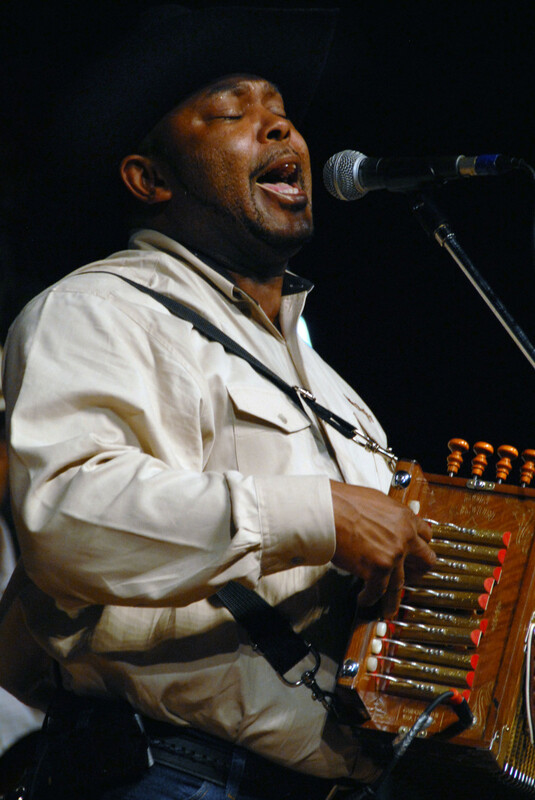 He moved on to develop the nouveau Zydeco sound in the band, Sydeco Force. Today, Broussard, a master of more than a half dozen instruments, says of performing, “It makes me happy to see my music make people happy. It reminds me of how things were when I was growing up. That’s something that a person should never turn their back on”. Broussard and his current band, The Creole Cowboys, deliver great, pack-the-floor renditions of Creole classics as well as their own brand of contemporary Zydeco. Jeffrey Broussard and The Creole Cowboys are taking the next generation’s perspective of this music and presenting it with contemporary flair and expertise. Pre-purchased tickets for this show are $18 for adults and $10 for students with valid ID. Visit brownpapertickets.org to purchase tickets ahead of time. Tickets may be available at the door on a first come, first served basis for $22 for adults and $12 for students.